There are many reasons why there should gun federal regulations. Many incidents happened in 2011 and 2012. 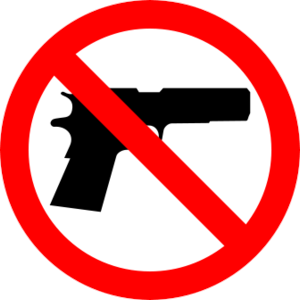 In the United States guns are over-glorified by television, movies, bad characters, and society. One example of 2012 is the Colorado shooting or as the media called it the "Batman shooting". There were other attempted copy cats that threatenings in Los Angeles, California, and Pennsylvania. In West Lake, Ohio, that was one of the only incidents that had weapons involved. Another example, was in 2011 when the shooting of the United States representatives. The fact is that these incidents were legally purchased guns. Barack Obama is pro because he does not want any more people to die. Especially young people which have a future and lose the chance to become successful. Republican Mitt Romney is con because he wants legal gun owners to be able to be responsible and carry a weapon because they have the right to. He also states that we should keep existing laws and not create new ones that we will not be able to follow. Liberal Gary Johnson is con because he thinks it does not matter if we have a regulation, people are going to get the weapons anyway. This is not going to stop the border violence. It is going to add more responsibility for the legal gun owner to be entered into a database. Some type of control is needed in order to protect citizens.